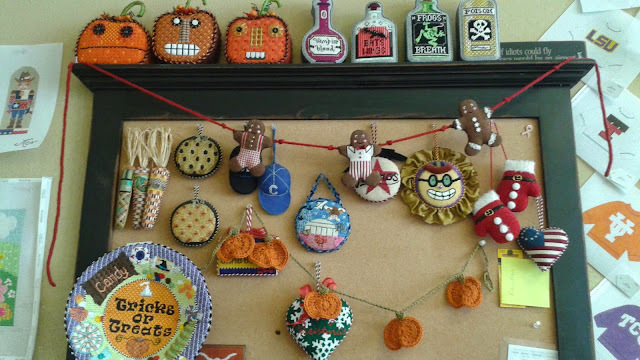 Spot my crochet pumpkin garland up in the yarn store. Interest in my Friday workshop session is growing. It takes a little time!